This can affect your ability to drive safely, watch after your children and even affect your ability to just cross the street safely. Neck pain can rapidly move up into your head, causing headaches. It can move down towards your shoulders and spread into your back, causing even more pain. Or, it can even go down into your arms, possibly even causing numbing into your hands, and worse. Pain is a call from your body that something is not right. It is unpleasant because it is nature’s way of trying to make you pay attention and act quickly. If you don’t, the penalty at minimum, is more pain. Don’t just reach for the pain killers. You will only lessen your body’s ability to feel it, not to mention opened the door to a huge number of possible side effects. There is no reason to continue to be in pain. You should be able to live without pain. You should be able to turn and bend effortlessly. Which way do you prefer to live? Get yourself a chiropractic consultation and exam and see what can possibly be done for you. We will take care of YOU using the latest safest and most gentle chiropractic techniques available today. Chiropractic is the SAFE and natural approach to health care. Better health can lead to not only more years in your life, but more life in those years! I Have Neck Pain! Is This the Right Place for Me?? Neck pain is terrible. That is why someone or something that is being a nuisance is labeled as a “pain in the neck”. The “fun” doesn’t end there either. 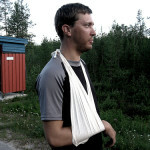 The pain can travel down your arms, causing further pain or worse yet, numbing down the arms and into one or both hands. Or it can go up and begin to cause headaches, vision issues, sinus troubles, etc, even affect your thinking process. Get this immediately checked out by taking advantage of the introductory offer. Call us and schedule yourself an appointment. You don’t have to just live with it or hope that it will go away on its own. That is like hoping that crooked teeth will straighten on their own. It seriously will not happen that way! A lack of exercise results in numerous health problems, starting from seemingly harmless weight gain to cardiovascular diseases and a much higher chance of suffering a stroke. Research has concluded that as many people die because of the effects of lack of exercise as the number that die from smoking. This is why chiropractic exercises are strongly recommended to maintain a healthy and balanced lifestyle and avoid all complications that can lead up to a stroke. Obesity is one of the major effects of a lack of exercise. Various health problems can surface due to obesity such as diabetes, breathing issues, high blood pressure and a far greater risk of suffering a heart attack. Besides the physical effects, many psychological effects also accompany obese people. Low self-esteem that leads to depression can be a devastating experience. It is no doubt that obesity can result from genetic factors, but a lack of exercise is usually a major reason. Being overweight can lead to hypertension. The blood vessels clog up which restricts blood flow. Hypertension exposes a person to various other risks, such as heart attack, kidney failure and many other ailments. A hypertensive individual is more likely to develop diabetes. Exercise helps in increasing the flow of blood to the brain, while lack of exercise does the opposite. A brain that is deprived of blood cannot function normally as it would otherwise. The brain can also physically shrink due to the lack of blood supply – a research states that this ‘shrinkage’ can be avoided and mental abilities can be enhanced by regular exercise. A sedentary lifestyle can weaken the bones and muscles, thus exposing an individual to a greater chance of injury as well as diseases such as arthritis. Lack of exercise can make a person more prone to fractures in case of a fall along with knee-joint and hip problems later on. Research was carried over several years and the results show an increased chance of cancer from a lack of exercise. Also, people who were physically fit when they developed cancer had a far greater chance of survival than those who had led a sedentary lifestyle. chiropractor maple valley Understanding Ergonomics – How Seat Design Plays a Vital RoleIt is estimated that at least 50% individuals in the industrialized world suffer from some kind of back problem, most notably due to a poor or inadequate seat design. How we sit all day in front of our workstations has a marked impact on the overall health of our spine. As a result of bad posture, the lumbar region in the back bone is what takes the most pounding. Here’s what you need to know, and many chiropractors will stand by it. How It Can Benefit Them – Chiropractic care deals with the spinal column’s important relationship in creating harmony throughout the body. It works on the principle that even a slight maladjustment in the spinal column can create problems for the individual. The backbone is home to the nervous system and fine tuning of vertebrae can have enormous effects in reducing pain and help in healing. 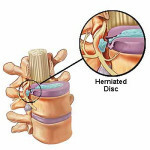 Cervical Herniated Disc Disc Injuries and Chiropractic Care Individuals, engaged in strenuous everyday tasks of lifting and shifting heavy loads, and operating machines and computers for long hours on end, run a high risk of experiencing spinal disc injuries. Injuries in the spine or neck region tend to cause extreme pain and hindrance in the movement of the back or neck. Cervical herniated disc is a medical condition in which the patient feels excruciating pain in the neck, due to a slipped disc. Chiropractors provide invasive treatment methods for relieving the pain in the neck and spinal areas of the body. Posted in Chiropractic | Comments Off on What Is Spinal Disc Herniation?